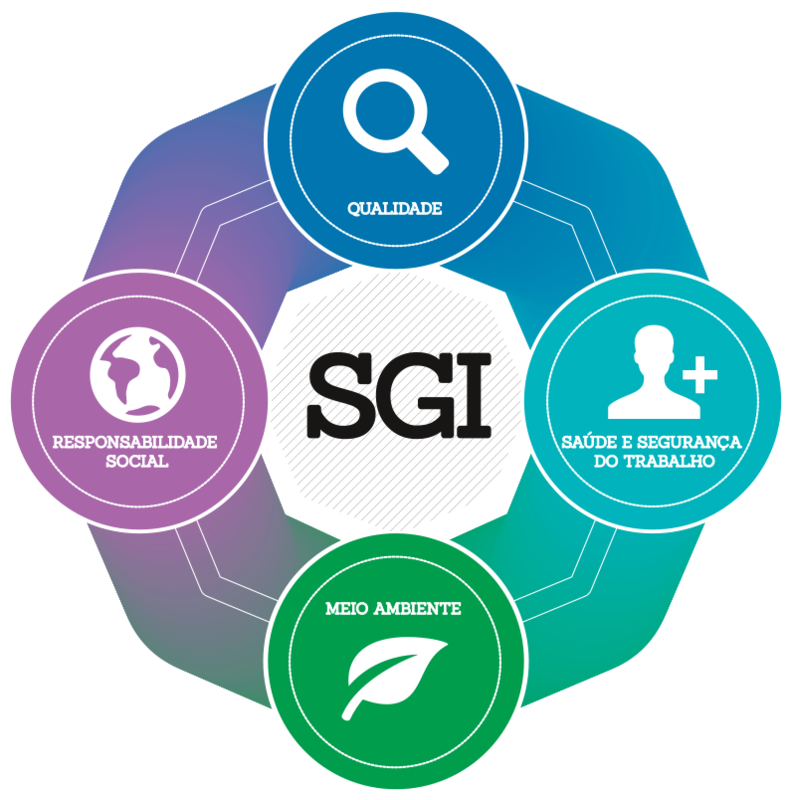 In order to maintain and improve the Quality, the CCT developed a Integrated Management System (SGI in portuguese) to ensure customer satisfaction, job security, commitment to the environment and competitiveness and prominence in the market. Currently the organization is certified according to the requirements of ISO 9001:2008 - Quality Management System, ISO 14001:2004 - Environmental Management System, NBR 16001:2012 - Social Responsibility Management System and OHSAS 18001:2007 - Occupational Health and Safety Management System for the following field of activities: "Projects and installations services for fuel distribution equipments electromechanical maintenance, civil works and installation, operation and maintenance of distribution of natural gas pipelines". This manual describes the processes, products and services associated to the structural model of the Integrated Management System, based on the concepts and cycles PDCA (Plan-Do-Check-Act) always aiming the continuous improvement of the quality, environmental, health and safety implemented management systems.